Received my items in good condition. I placed my order during festive season. Didn't expect the delivery to be fast. The price is reasonable too. Will definitely buy from this seller again. Highly Recommend written by mobile So far so good. Refill looks different from the previous one I had but seller said it's a new version. So far so good. Item received hopefully this refill will last longer then the previous one.. Satisfied. All is good. All items are well-received packed in box. Have not tried. But item looks good. Product looks fine. Super fast delivery! 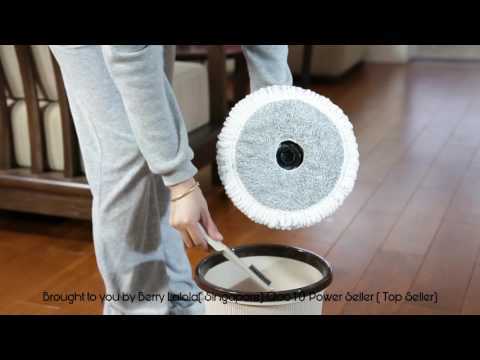 [Ready stock] 360 Degree Rotate Automatic Spin Dry Mop Set Durable Stainless Steel Easy to Use!